CCC estimated this summer that about 68.1 percent of all vehicles passing through its system in the first quarter of 2017 should have had a pre- or post-repair scan based on OEM position statements alone. That number of course doesn’t include Subaru, whose position statement came this summer. Nor does it include OEMs like Ford, who wants it done but hasn’t issued a position statement. The true demand is very likely nearly 100 percent, based on guidance from I-CAR, the Equipment and Tool Institute and common sense based on the past two decades of vehicle technology. But let’s stick with CCC’s analysis of 68.1 percent requiring at least one scan for this article. How much of that scanning is showing up in the real world? Only about 1.55 percent of CCC repair appraisals contained pre- and/or post-repair scan charges in the first quarter of 2017, Gotsch said. Only 1.18 percent of aluminum (2015-present) F-150s had been scanned, she said. We hope she’s right about the disparity, but that’s a huge spread. There are indeed certainly signs the compliance might not be as bad as those statistics indicate. 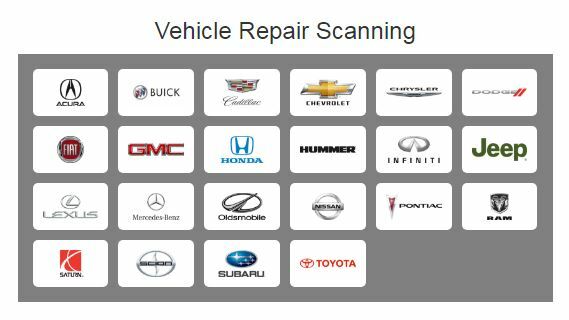 2016 “Who Pays for What?” data from more than 1,000 shops responding to the survey (not all answered every question, though) indicated that auto body shops only perform post-repair scans an average 50 percent of the time and pre-scans only 31 percent of the time. Then again, it’s possible that the surveys by CRASH Network and Collision Advice are only being taken by some of the industry’s more active and knowledgeable shops. A 1,000-shop sample represents less than 1 percent of 2016’s entire 32,400-shop industry (per the Romans Group), while CCC has 19,000 shops on CCC ONE alone. Learn more about the technology increasingly found on the U.S. vehicle fleet and what it could mean from your shop during “The Impact of Advanced Vehicle Systems on Routine Repair Process and Procedure” at the Society of Collision Repair Specialists’ OEM Collision Repair Technology Summit Nov. 2 during the SEMA Show in Las Vegas. 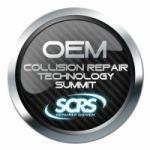 Also, don’t miss Collision Diagnostic Services’ Jake Rodenroth’s Nov. 1 course on “Building the Business Case for Diagnostics in Collision Repair.” The sessions are part of the SCRS Repairer Driven Education Series Oct. 30-Nov. 3. Register here for the individual classes or the series pass package deal, which includes the entire week of classes, the OEM Summit and the Nov. 2 Sky Villa afterparty. Another possibility explaining the difference might be decisions by some multi-store operators to scan vehicles but not charge for it — a concession traded to their direct repair program insurers in exchange for referral volume. However, Romans Group head Vincent Romans presented data at NACE showing that all of the major MSOs only represent about 33 percent of the industry’s sales and about 12 percent of its locations in 2016. That leaves still quite a gap to the 68.1 percent. The average first-quarter 2017 scanning charge was $124, Gotsch said. 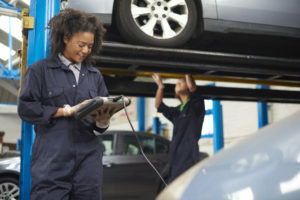 The statistic is similar to what CCC found for the full year in 2016 and is interesting since the popular asTech device connecting the vehicle to remote OEM scan tools typically costs $169 combined for a pre- and post-scan. That suggests that some shops are either eating some of the asTech cost or buying their own scanning equipment and amortizing the cost.